*For application and scholarship deadlines see our How to Apply page. 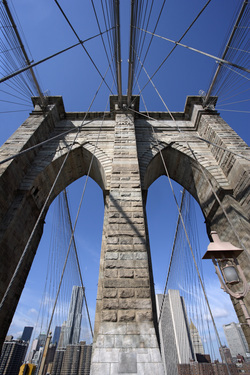 NYCZOU - A guide to New York internships created by 2011 participants. 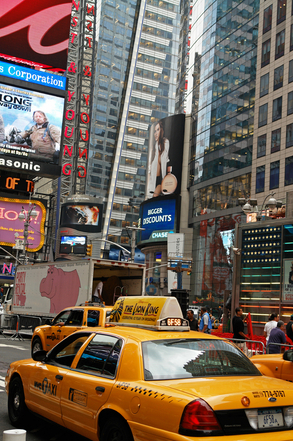 The Missouri School of Journalism's New York Program offers Missouri School of Journalism students a unique program of study, a network of colleagues, faculty guidance and summer residence in the media capital of the world, New York City. 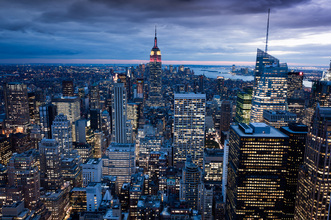 New York City is home to major national television networks, national newspapers as well as world headquarters of advertising agencies, public relations firms and major photo agencies. Students attend seminars with New York editors, producers, journalists and media executives. They meet Missouri School of Journalism alumni working in New York City and explore one of the world's most amazing cities. The New York Program is open to School of Journalism graduate students, seniors and juniors. Students from any interest area are eligible to earn up to nine credits. The program includes a course with a Missouri School of Journalism faculty member and a full-time internship in New York City. Students will undertake an internship at a media outlet for the length of the program. As part of the professional experience, applicants are responsible for securing their internships. There is no set timeline for applying and securing an internship, but it is best to start as early as possible (ideally during the preceding semester). Applicants should compose a well-constructed resume and cover letter for use in the internship application process. Students should also consider securing academic and professional references to include with their internship applications. Applicants should begin to identify the companies/outlets in which they would like to intern, as soon as possible. Most often, internship information will be available online through the Human Resources Offices of the outlets at which a student may be interested in securing work. This is a vital step in determining timelines and deadlines for internship application. Undergraduate applicants with a minimum 3.0 GPA who have completed the first course in their sequence are eligible for admission to an internship program. The weekly seminars (JOURN 4058/JOURN 7050) are an important part of the program. Designed to help students better understand the media landscape of New York, they will include guest lecturers and may include off-hours visits to media sites. Past seminar activities have included visits to the Hearst Corporation, The New York Times, and ABC studios. The Missouri School of Journalism attempts to make the costs of studying abroad affordable for you. Generally, study abroad experiences cost a bit more than credits taken on-campus at MU, but include new experiences, cultures, and oftentimes housing, or other program-related costs. It's highly recommended that you outline a budget for yourself of what you would spend during a semester here at MU and compare it to study abroad costs. The fee for this program includes housing accommodations and on-site assistance by a professor. You will also be billed MU educational fees (9 credits). In addition, you will also pay an MU Study Abroad fee for MU orientation, administration, and assistance. Other expenses you will want to consider include airfare, meals, local transportation and other miscellaneous expenses. Please note that there are scholarships and other financial options available to you to help make study abroad a part of your college experience. Students will also be responsible for regular tuition and required educational fees associated with either 6 or 9 credit hours. For specific fee information, visit the Cashier's website. NOTE: Fees subject to change each term and without notice. The financial aid you normally receive for your classes at MU is usually applicable. Please visit with your Financial Aid Advisor at the MU Student Financial Aid Office (11 Jesse Hall) to explore your financial aid options: 573-882-7506. In addition, the School of Journalism offers need-based travel scholarships each semester. Watch our website, follow us on Twitter and like us on Facebook for special program scholarship announcements each semester. Finally, check out our special page on Funding Your Experience for more information including links to our MU Journalism Abroad Travel Scholarship, external scholarship options and Steps to Apply for Financial Aid. Student housing is provided through this program. Housing is dormitory-style, featuring onsite laundry facilities and suites equipped with kitchen facilities. Housewares, bedding and wired Internet are included. Housing is located in lower Manhattan, near the financial district. 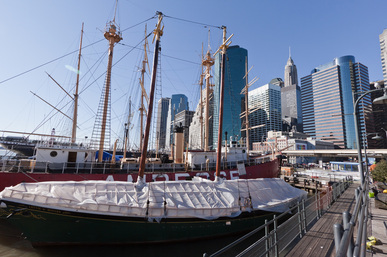 It is within close walking distance of Wall Street, the South Street Seaport, and two subway stations. For information on how to apply for this program, please click here.